The Daily Mail had been running a smear campaign against Ramsay MacDonald since he became leader of the Labour Party in 1911. MacDonald, like Jeremy Corbyn, was accused of being both a pacifist and a revolutionary. 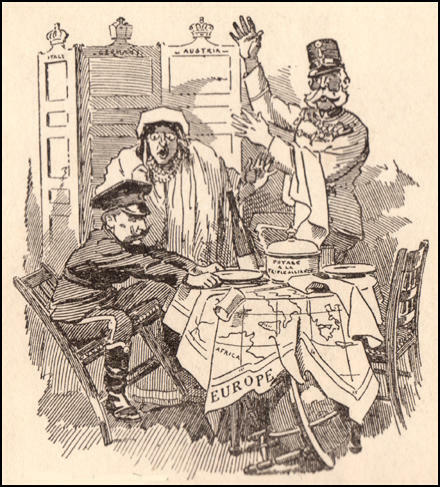 During the months leading up to the First World War, the newspaper accused MacDonald, of being pro-German. Lord Northcliffe, the owner of the newspaper, had ran a hate campaign against Germany since 1897. Of course, this newspaper has always supported right-wing political parties throughout the world. In the early 1930s, Lord Rothermere began a campaign in favour of the Nazi Party. The Daily Mail criticized "the old women of both sexes" who filled British newspapers with rabid reports of Nazi "excesses." Instead, the newspaper claimed, Hitler had saved Germany from "Israelites of international attachments" and the "minor misdeeds of individual Nazis will be submerged by the immense benefits that the new regime is already bestowing upon Germany." 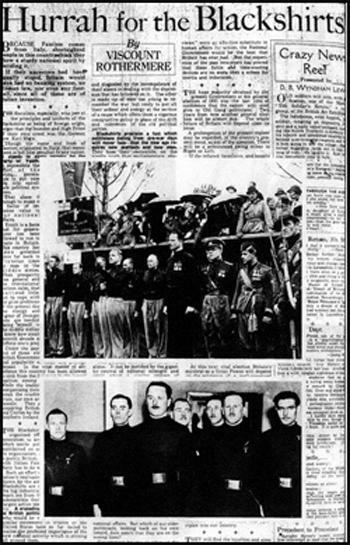 David Low, a cartoonist employed by the Evening Standard, made several attacks on Rothermere's links to the fascist movement. 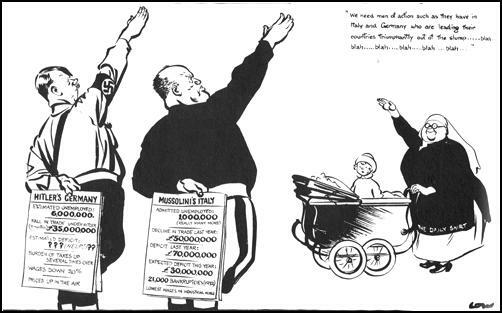 In January 1934, he drew a cartoon showing Rothermere as a nanny giving a Nazi salute and saying "we need men of action such as they have in Italy and Germany who are leading their countries triumphantly out of the slump... blah... blah... blah... blah." In March 1939 the MI6 passport control officer at Victoria Station arrested Princess Stephanie's Hungarian lawyer, Erno Wittman. The arresting officer reported what he discovered that Wittman was carrying: "This was astonishing; it appeared to be copies of documents and letters which passed between Lord Rothermere, Lady Snowden, Princess Stephanie, Herr Hitler and others. In the main, the letters referred to the possible restoration of the throne in Hungary and shed a good deal of light on the character and activities of the princess." Lord Northcliffe had two major objectives. One was to campaign against the Liberal Party's social reform programme. The other was to convince the British public than Germany posed a threat to the British Empire. 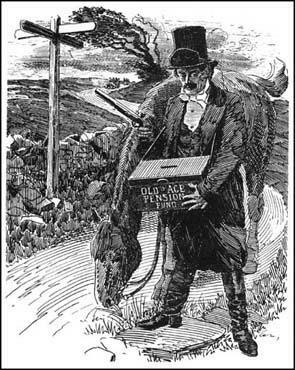 One of the innovations introduced by the Daily Mail was the publication of serials. Personally supervised by Northcliffe, the average length was 100,000 words. The opening episode was 5,000 words and had to have a dramatic impact on the readers. This was followed by episodes of 1,500 to 2,000 words every day. On 19th March 1906, the newspaper published the first installment of The Invasion of 1910, in which the novelist William Le Queux, detailed a German invasion of Britain. This was all part of Lord Northcliffe's campaign to build up Britain's defences against Germany. He was a great supporter of the need to build up the British Navy to protect the country from a German invasion. 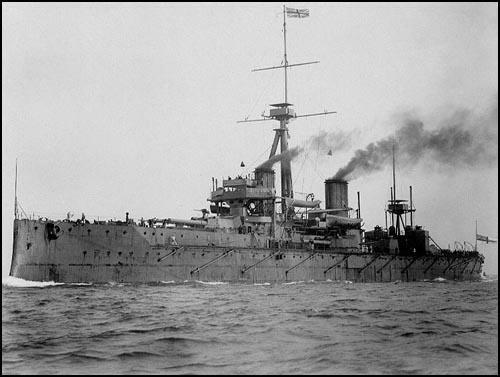 Britain's first dreadnought was built at Portsmouth Dockyard between October 1905 and December 1906. It was the most heavily-armed ship in history. She had ten 12-inch guns (305 mm), whereas the previous record was four 12-inch guns. The gun turrets were situated higher than user and so facilitated more accurate long-distance fire. In addition to her 12-inch guns, the ship also had twenty-four 3-inch guns (76 mm) and five torpedo tubes below water. In the waterline section of her hull, the ship was armoured by plates 28 cm thick. It was the first major warship driven solely by steam turbines. It was also faster than any other warship and could reach speeds of 21 knots. A total of 526 feet long (160.1 metres) it had a crew of over 800 men. It cost over £2 million, twice as much as the cost of a conventional battleship. 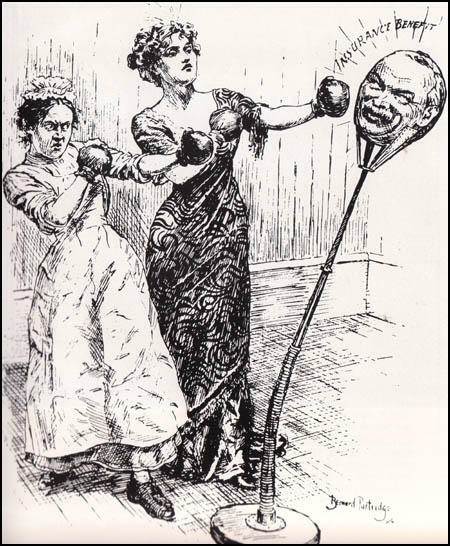 Lloyd George had been a long opponent of the Poor Law in Britain. He was determined to take action that in his words would "lift the shadow of the workhouse from the homes of the poor". He believed the best way of doing this was to guarantee an income to people who were to old to work. 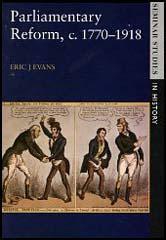 Based on the ideas of Tom Paine that first appeared in his book Rights of Man, Lloyd George's proposed the introduction of old age pensions. Lord Northcliffe, launched a propaganda campaign against the bill on the grounds that the scheme would be too expensive for small employers. The climax of the campaign was a rally in the Albert Hall on 29th November, 1911. As Lord Northcliffe, controlled 40 per cent of the morning newspaper circulation in Britain, 45 per cent of the evening and 15 per cent of the Sunday circulation, his views on the subject was very important. On 7th August, 1914, the House of Commons was told that Britain needed an army of 500,000 men. The same day Lord Kitchener issued his first appeal for 100,000 volunteers. He got an immediate response with 175,000 men volunteering in a single week. With the help of a war poster that featured Kitchener and the words: "Join Your Country's Army", 750,000 had enlisted by the end of September.